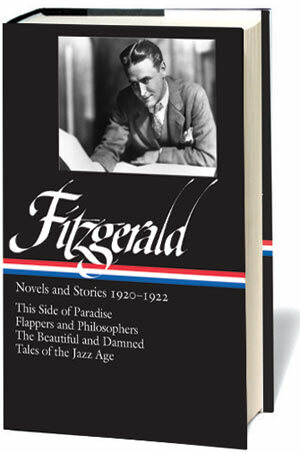 In the months prior to the publication of his first novel in 1920, twenty-three-year-old F. Scott Fitzgerald revised several stories that had previously been rejected and then resubmitted them to various magazines: four were accepted by The Smart Set (co-edited by H. L. Mencken and George Jean Nathan) and two by Scribner’s Magazine. Soon after, a half dozen stories were acquired by The Saturday Evening Post at $400 each. His story “Head and Shoulders” was also sold to Metro Films for $2,500. Then This Side in Paradise appeared and established F. Scott Fitzgerald as the newest literary wunderkind, selling 3,000 copies in three days; within months, magazines began paying the young author up to $900 per story; in two years, he would command $1,500. The young Princeton drop-out and Army veteran found himself suddenly, unexpectedly prosperous. “And do you write for any other magazines?” inquired the young lady. And I had the magnificent joy of telling her that she was referring to “Porcelain and Pink,” which had appeared there several months before. Contains the famous “Porcelain and Pink Story”—the bath-tub classic—as well as “The Curious Case of Benjamin Button” and nine other tales. In the book Mr. F. has developed his gifts as a satiric humorist to a point rivalled by few if any living American writers. The lazy meanderings of a brilliant and powerful imagination. Notes: The Nervii (p. 904) were a Belgic tribe defeated by Caesar in 57 B.C. Pebeco (p. 908) was a brand of toothpaste, while Lucile was the professional name of Lucy Christiana, Lady Duff Gordon, a celebrated British fashion designer. Evangeline, (p. 910) a long epic poem, and “The Skeleton in Armor,” a much shorter ballad, are both by Longfellow. The Ballad of Reading Gaol (p. 911) is a poem by Oscar Wilde (not O. Henry) after he left prison in 1898. Gaby Deslys was the stage name of a French dancer famous for her jewelry and her liaisons with royalty, and Mr. Bergson refers to the French philosopher Henri Bergson, but the quote Julie attributes to them was reportedly made by Isadora Duncan to George Bernard Shaw: "With my body and your brains, what a wonder [our baby] would be." "Yes," Shaw replied. "But what if it had my body and your brains?". “The Shimmies of Normandy” is a mangling of Robert Planquets’s comic opera The Chimes of Normandy. A room in the down-stairs of a summer cottage. High around the wall runs an art frieze of a fisherman with a pile of nets at his feet and a ship on a crimson ocean, a fisherman with a pile of nets at his feet and a ship on a crimson ocean, a fisherman with a pile of nets at his feet and so on. . . . If you don't see the full story below, click the right button at the top of the reader to view the story in Google Docs or click here (PDF) to read it—free!